Do you love to ride roller coasters? You're in good company. Coasters remain the most popular attractions at theme parks and amusement parks, and they come in a wide variety of types along with many kinds of layouts, themes, and other features. They also offer varying degrees of thrills and overall coaster goodness. Let's explore some of the more popular rides. The thrill-centric Six Flags parks are known for their signature roller coasters. Each park's skyline is a riot of colorful coaster track, and each park's soundtrack is a cacophony of coaster-induced screams. But not all Six Flag coasters are created equal. Find out what's up and what's down (ratings wise). Always rated among the best of the traditional amusement parks, Cedar Point opened in 1870 and never stopped growing. 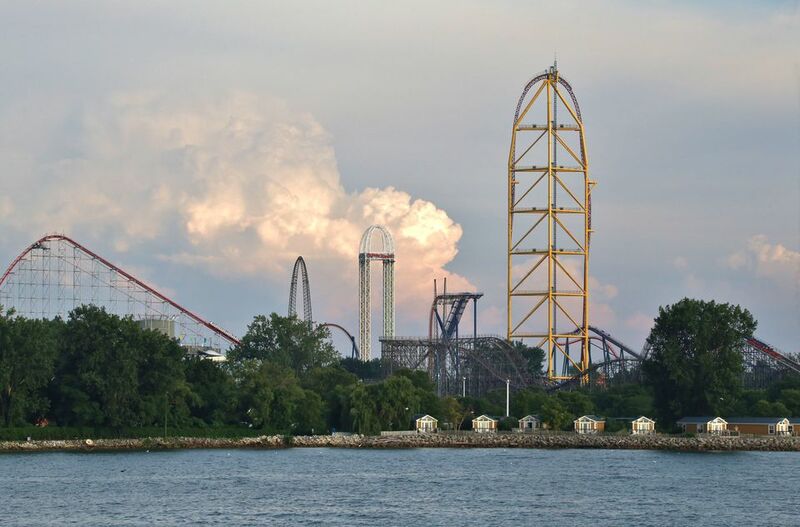 Located on a peninsula along Lake Erie, the sandy beaches that beckoned visitors more than a century ago are still enticing, but it's mostly the coasters—widely considered to be among the best collection of thrill machines on the planet—that lure the throngs today. Top Thrill Dragster One of the world's tallest and fastest coasters. Maverick- Wild, launched terrain coaster. Magnum XL-200 - The world's first "hypercoaster." A family park in the truest sense of the term, Holiday World foregoes the mega-thrill rides and hyped-up atmosphere of its teen-targeting competitors for a more laid-back and gentler experience. That's not to say that Holiday World doesn't deliver great rides—and thrills. In fact, its wooden roller coasters rank among the best in the world. The Voyage- A top-rated coaster. You have to hand it to Busch Gardens Williamsburg. With its rich themeing, stunning, award-winning landscaping (they don't call it Busch Gardens for nothing), and superior food, it's a seasonal, more-or-less regional park that thinks it's a year-round destination park. Thrill-ride freaks love the place for its world-class coasters. Griffon- A wonderful diving coaster. Carowinds has a wonderful collection of coasters that includes everything from traditional woodies such as Hurler to a bone-rattling inverted coaster, Afterburn. The wonderful Intimidator delivers coaster airtime nirvana. The Beast Famous wooden coaster. The Farm is a bit schizophrenic. While it still retains the charm of the Old-West Ghost Town area from the original park, the grafted-on Boardwalk section, with its souped-up Xcelerator launched coaster, makes an odd contrast. Other coasters dot Knott's skyline. As the most visited theme park resort on the planet, Disney World has some of the world's most popular and celebrated rides, including its roller coasters. I mean, who hasn't heard of Space Mountain? Get ready for your next trip to Florida's Mouse House and gauge the thrills that await you by checking out the coasters at Disney World. Expedition Everest - Highly themed and surprisingly thrilling coaster.